Your driveway is the first thing people see when they pull into your house. Make sure you keep this clean and presentable. We handle even your toughest driveway jobs. You want to ensure that your roof remains clear of debris. This will ensure a long lasting life for your roof, avoiding any unnecessary repairs. Gutters can fill up fast with leaves and other things that can block the flow of water. Ensuring that this is clear avoids the hassle of water being backed up. There is nothing more beautiful than a sprawling backyard and a gorgeous deck in the summer. We keep your desks looking brand new all season long. Fences are an important part of your entire home’s decor. 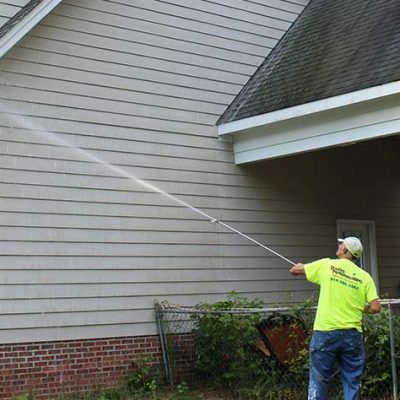 Our power washing keeps your fence in top and pristine shape for all to see.